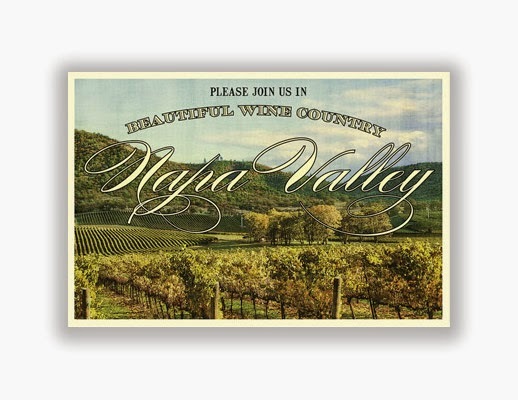 Looking for a postcard designer on the internet? Check out Behance. Started in 2006, Behance has been on a mission to remove the barriers between creative producers and creative buyers. The site presents the portfolios of thousands of aspiring and accomplished artists, including photographers, illustrators, and yes, postcard designers. The first postcard is from Sara de la Mora, a Spanish designer based in London. 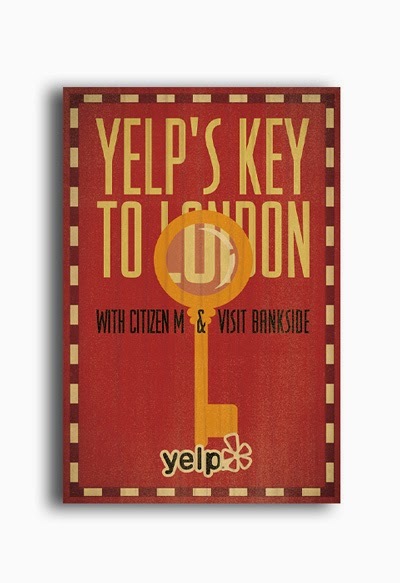 The card was prepared as part of a Yelp competition “Yelp’s Key To London”. I love how the bookplate design draws you in. You're transported to the comfort of your easy chair, an Agatha Christie paperback, and bam -- you realize you're on a journey in a Yelp ad. Very slick, indeed. We're very impressed with the work of Yanviani Wongso, a design student from Singapore. 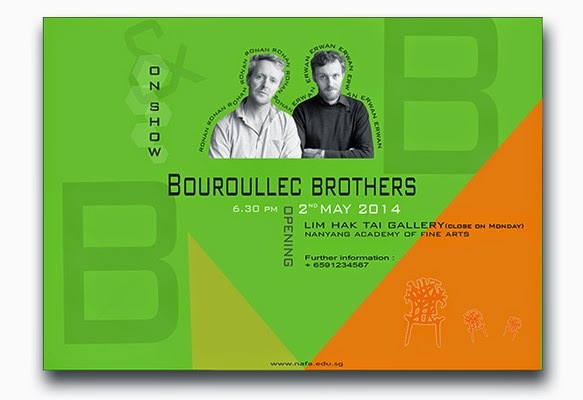 The postcard is effective -- promoting a gallery show -- as well as fresh and creative. It's nice to see a designer who is playful with type, without creating a distraction, and without over powering the message. Christopher Charles, from Long Beach, California, is a designer at subplex. 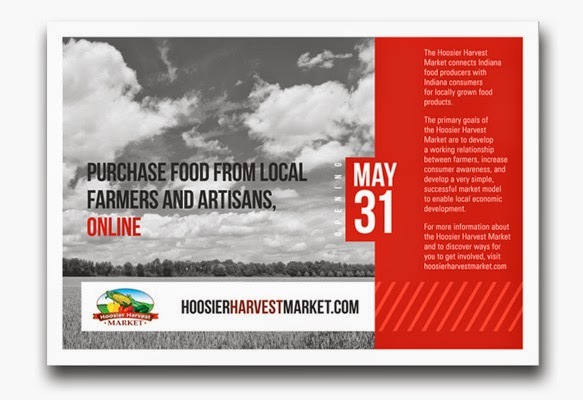 His postcard design for a farmer's market is interesting because it features black and white photography. Your eye is drawn to the red, and to the copy it contains. It shows how much can be accomplished with just a color or two. 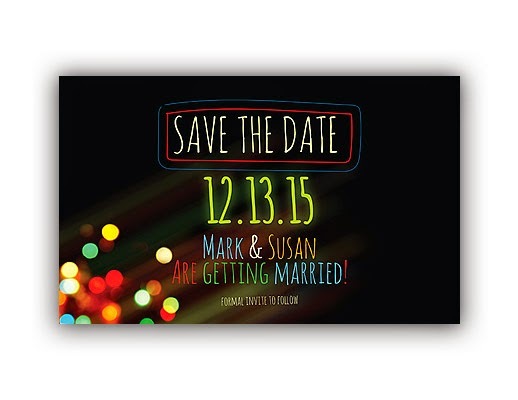 A postcard design from Bobby Jennings in Mesquite, Texas, shows how full color can work wonders. 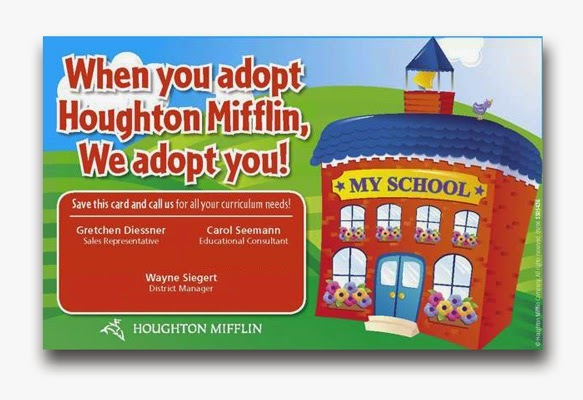 Houghton Mifflin Harcort Publishing uses color and illustration to full effect -- to attract the eye, and present itself in a way that is quite approachable. 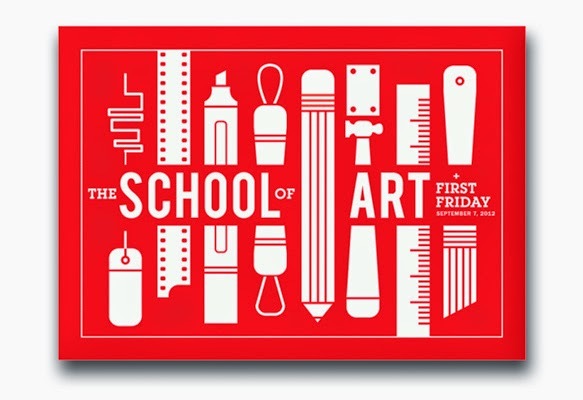 While at School of Art at Texas Tech University, New York's Elliot Salazar created a postcard design to help promote the school's First Friday event. The postcard's graphics are somewhat complex and this has a positive effect. First, you are drawn to them. Then you spend a moment examining them. Before you know it, you've invested yourself in the design and want to learn more about the postcard's message. It's quite an accomplishment to pull someone from their daily hub-bub, and into your message -- even if its only for fifteen seconds. Certainly, Kimberly Wray has found her calling. 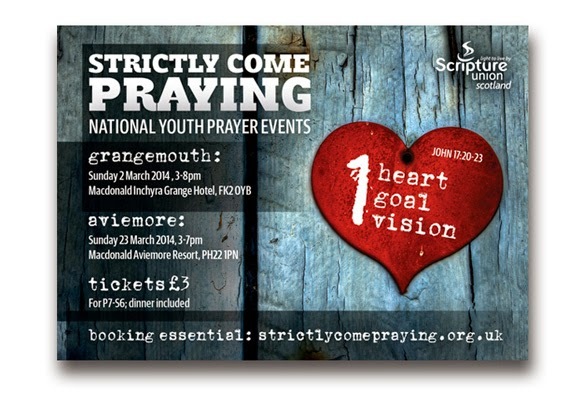 The Glasgow designer has created a postcard that promotes a prayer event for Scripture Union Scotland. And she has done it in a way that looks casual and genuine. This is especially appropriate for the youth audience the postcard needs to reach. The Behance website has grown quite a bit since 2006. In fact, it's now a part of the Adobe family. There are thousands of artists and designers providing their portfolios -- actively offering their services -- through the site. If you're hunting for your next designer, or looking for some design inspiration, Behance is a great place to start. 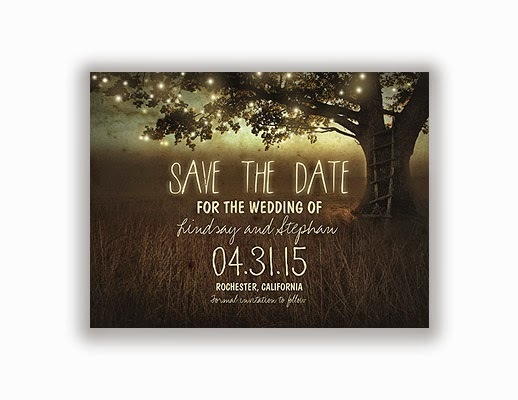 We've said it before, but Wedding Save the Date postcards are easily the most popular postcards out there. And as a result, designers have done some amazing work to capture our attention. 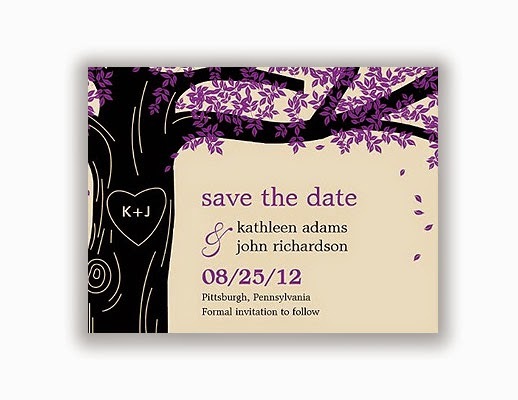 Here's a selection of six Save the Date postcard designs that epitomize great design. The information is clear. The cards are clever. What more could a couple ask for? 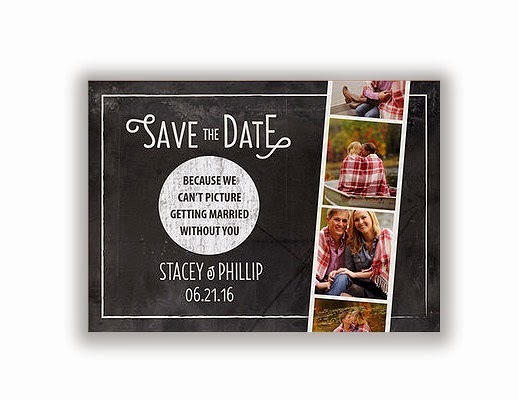 A fun, playful Save the Date postcard by hannahcloud design that conjures up memories of taking photos in a photo booth during a first date. 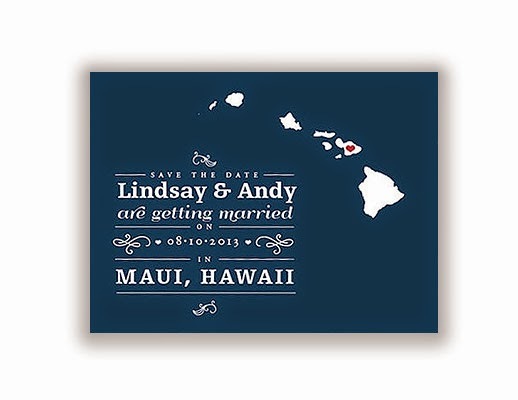 Here's a great vintage Save the Date from serendipity beyond design that's reminiscent of travel postcards from yesteryear. 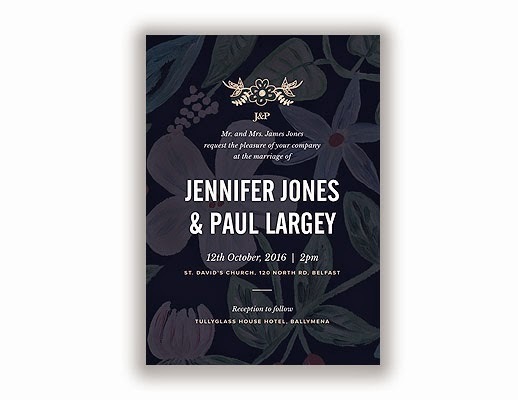 This beautiful and mysterious Save the Date by jinaiji suggests a magical evening is in store for anyone lucky enough to be invited. This simple, minimalist postcard by Bespoke Prints gets right to the point. Literally. This whimsical design by berryberrysweet is the perfect blend of formal and casual. It features an attractive color scheme that accentuates all the vital information. A fun, playful, and colorful design from the folks over at magnetbyMail and combines a postcard with a refrigerator magnet.